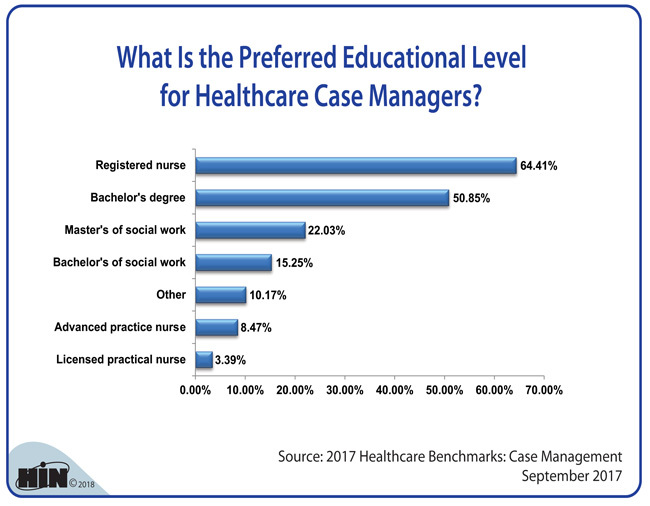 Healthcare Intelligence Network - Chart of the Week: What Is the Preferred Education Level of Healthcare Case Managers? Source: 2017 Healthcare Benchmarks: Case Management, September 2017. 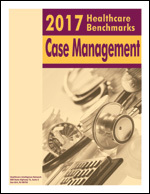 For access to dozens of metrics and benchmarks on case management, download your copy today. Embed this chart or link to this page. Healthcare Intelligence Network's Chart of the Week is yours to use in your blog, presentation or simply for reference. 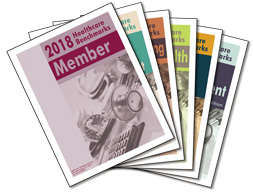 This report provides actionable information from 78 healthcare organizations on the role of case management in the healthcare continuum, from targeted populations and conditions to the advantages and challenges of embedded case management to CM hiring and evaluation standards. Assessment of case management ROI and impact on key care components are also provided. Download your copy today or call us toll-free (888) 446-3530 with any questions. How can care teams encourage patients to open up about sensitive social determinant of health factors? By employing motivational interviewing to establish a respectful partnership, advises Cindy Buckels, TAV Health, director, population health. Listen to Ms. Buckels explain why motivational interviewing is more effective than the usual "Chunk-Check-Change" approach in transforming patient behavior. Share this article with a colleague!